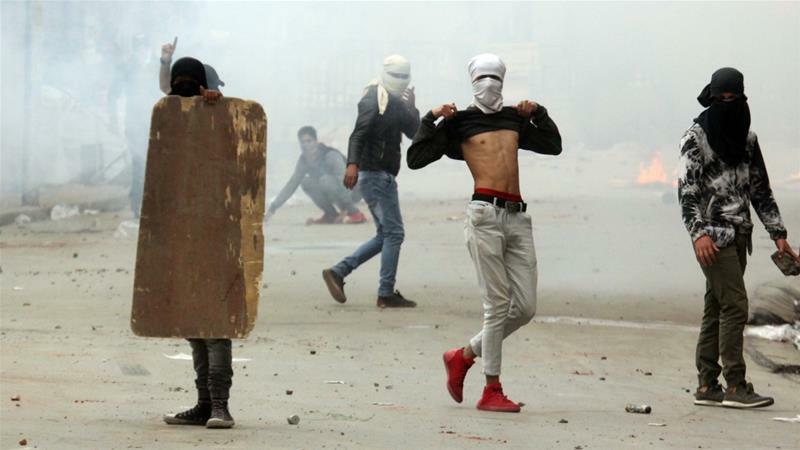 Violent clashes have erupted between protesting students and Indian police across the city of Srinagar in Indian-administered Kashmir. 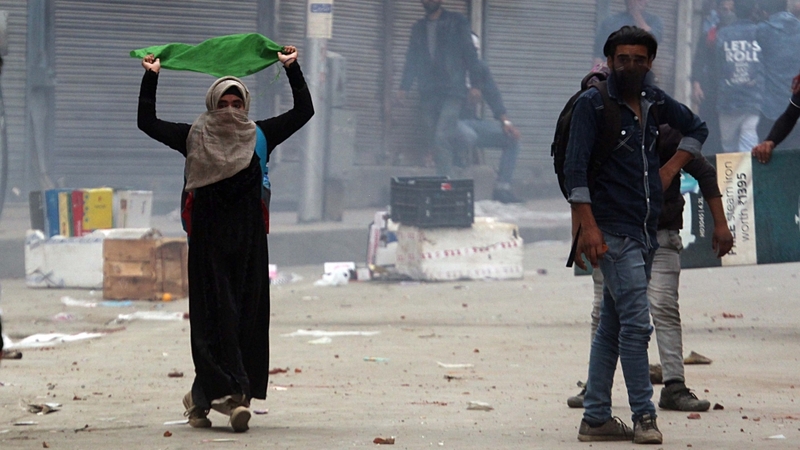 Indian security forces fired tear gas at demonstrators on Thursday as they were protesting against the recent killings of 20 people, including separatist fighters and civilians by government troops in south Kashmir's Shopian district. At least four civilians, 13 fighters and three Indian army soldiers were killed in clashes on Sunday in three villages of Shopian. One fighter was also killed in a brief gun battle in Dialgam, a village in Anantnag district. As schools and colleges reopened on Thursday after a complete shutdown across the region, students from Bemina Degree College, Amar Singh College and Women's College in Srinagar took to the streets and started protesting outside their college premises. 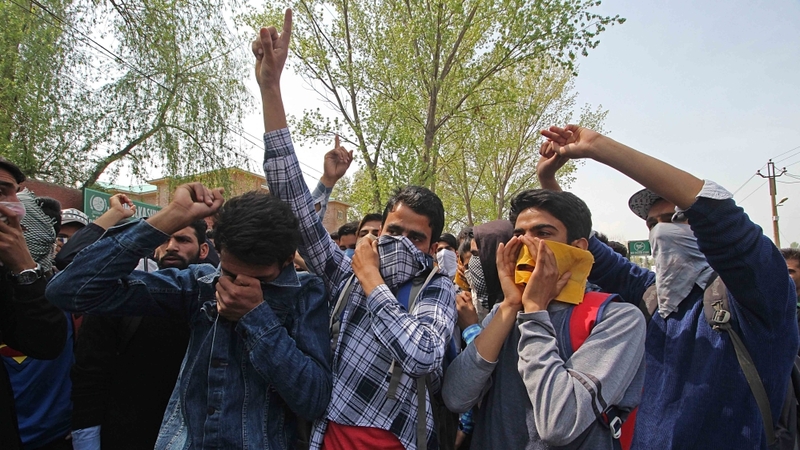 Police used pellets, tear gas canisters and stun grenades to disperse the students, who were protesting by throwing stones at the security forces and raising anti-India slogans. Injuries to the students have been reported at different colleges after the day-long clashes. 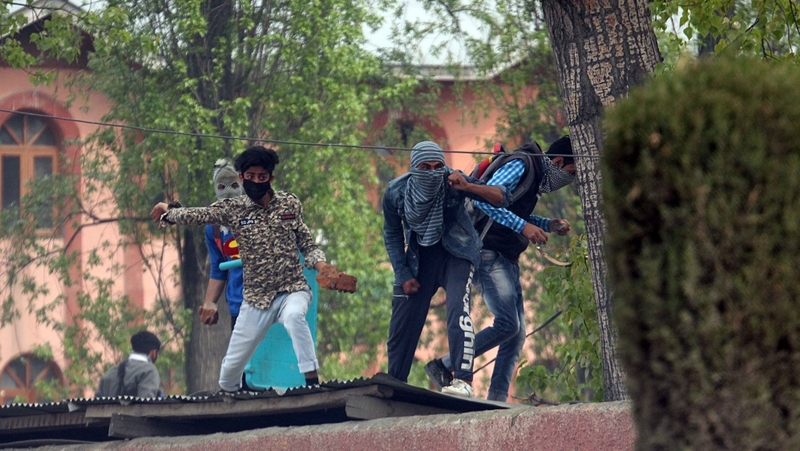 Meanwhile, the inspector general of police (IGP) Kashmir range told local news agency in Srinagar that two police officers were injured, but the overall situation remained under control. After the April 1 killings, tensions have been high this week, with massive demonstrations in many parts of the region. More than three dozen people have been wounded. 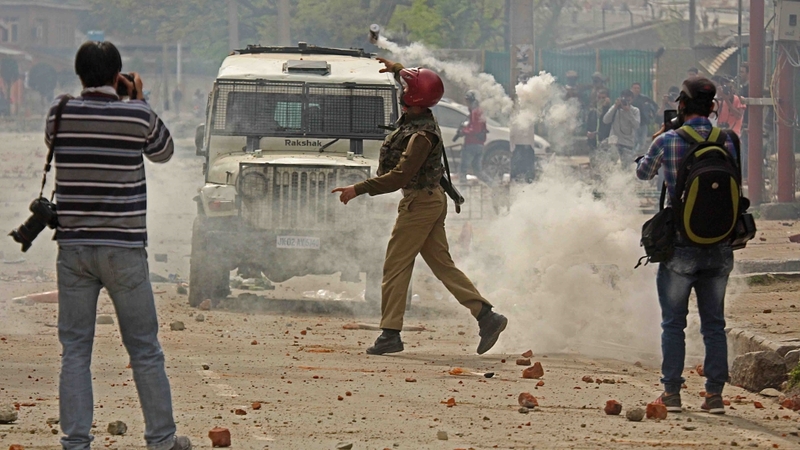 Most of the fighters killed in Sunday's clashes were locals and belonged to south Kashmir. Kashmir's separatist leaders had called for a two-day shutdown to protest the killings in the region, before extending the call to April 3. All shops, schools and colleges remained closed this week, before government authorities announced the resumption of classes on Thursday. Muslim-majority Kashmir is one of the most militarised regions on earth and has been divided between India and Pakistan since independence from Britain in 1947. Both Pakistan and India claim the Himalayan territory in full and have fought three wars over the mountainous region. Kashmiris demand that a referendum take place to let them decide their future. Tens of thousands of people, mostly civilians, have died since 1990.